Being a successful female entrepreneur isn’t one-size-fits-all. There isn’t a clear roadmap to figuring out this whole how-to-build-and-grow-a-successful-business thing. And that feels both wildly encouraging and totally disheartening. Wouldn’t it be so much easier if you could just follow in her exact footsteps? Check off every box and then add “successful entrepreneur” to your resume. There isn’t a checklist. Or a “here’s-exactly-how-to-get-from-point-a-to-point-b” roadmap. 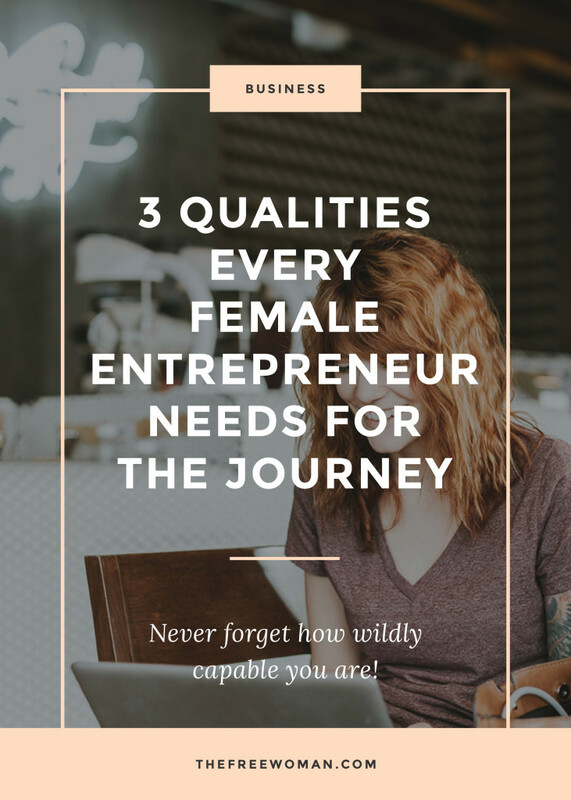 Having sat down with dozens of female entrepreneurs to hear their stories, though, there are several things they all have in common: three qualities they all possess that have helped them pave the path to success. Building a successful business is not a sprint. It’s a marathon. A long, slow, I-tripped-and-twisted-my-ankle-on-mile-10-and-had-to-walk-the-rest-of-the-way marathon. No matter how many “overnight success” stories you hear, success never happens overnight. It happens over months and years and decades of work and learning and failing and getting up and learning some more. If you’re going to get through those years of ups and downs and make it to the other side, grit is an unarguable quality you need. So, wherever you’re at on the entrepreneurial journey right now, stop sprinting. Pace yourself. All good things take time. And grit. Patience is a virtue. It also makes things possible. Remember how building a business is more like a marathon than a sprint? There will be a couple thousand nights (or every night) on this journey where you contemplate throwing your hands up – tired of working so hard to build this overnight success that feels more like it’s moving at a snail’s pace. 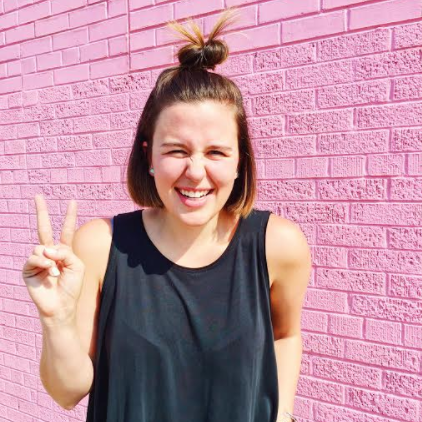 Jessica Honegger, the founder of Noonday Collection, pawned her jewelry to build her first website. After that, it took three years of long, hard work and slow growth before things took off overnight. Entrepreneurship is a rollercoaster of ups and downs. It’s also one of the longest roller coaster rides you’ll ever be on. So, slow down. Take a breath. And be patient. There’s one thing I can guarantee you about being an entrepreneur; you will have doubts. And like the bully on the playground, it’s going to make you question everything about yourself: She’s right. I have absolutely no idea what I’m doing. I’m a total fraud. Everyone’s looking at me right now and I look like a fool. Who was I to ever think I could do this? To persevere, you must have an unwavering belief in yourself and your ability to do this thing. No matter how many setbacks happen (because they will happen). No matter how many times you find yourself paralyzed by fear (because you will). And no matter how many times you stare failure in the face. You must believe in yourself. People say entrepreneurs are these wild risk-takers. I don’t believe that’s true. I believe entrepreneurs possess a relentless belief in themselves that leads to them take these “risks”, like quitting their jobs without a backup plan, mortgaging their homes, and taking big, scary leaps to make their dreams a reality. Starting and growing your own business without a well-defined path to follow can feel terrifying. The beautiful truth, though, is that you don’t need a well-defined path. You already possess everything you need to make this dream happen. Sign up for the long-haul. It’s going to get gritty. Be patient even when it feels like you’re barely moving forward. 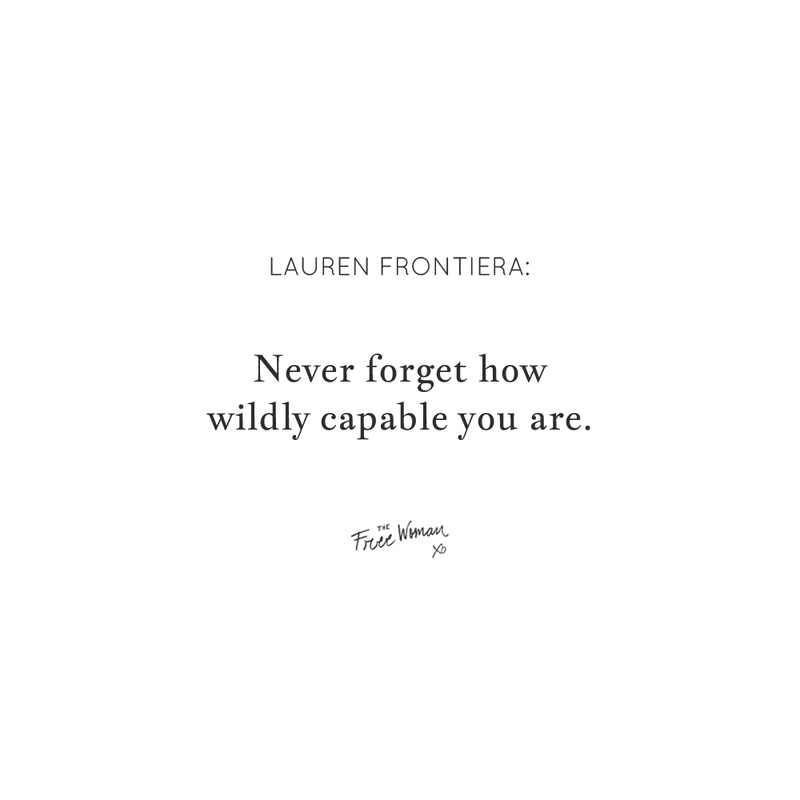 And never forget how wildly capable you are. You’ve got this. Lauren is the creator of The Real Female Entrepreneur, an online platform that combines the power of authentic, honest conversation and media to inspire, include, and empower female entrepreneurs. When she's working you can find her at a coffee shop, decaf latte in hand. And when she's not, you can find her somewhere with a book in hand and chocolate nearby.